decision to the boon giver. these by causing the enlargement of the breasts and the abdomen." of learning, including logic, philosophy of yoga and grammar. down in the ancient texts known as the Upanishads. to lead a life devoted to learning, and serving his mother. distress to his mother, for he was her sole emotional anchor. do anything without her consent." unfulfilled desire in my heart, my soul will not find release. peacefully." The lamenting mother consented to her son's appeal. who thus intimidated, released Shankara's leg. his mother since as a sannayasi the whole world was now his home. indwelling Shiva as sole companion. Govindapada asked him the following question: "Who are you?" but the Supreme Consciousness underlying all, known as Shiva." talent, initiated him into sannayasa. worded and brief enough to leave the first time reader perplexed. philosophy by examining the commentaries on this work alone. and put an end to the prevailing confusion. with the body which is but unsteady like the ears of an elephant." sojourn in Varanasi, eighty kilometers from the site of the fair. partaking the nectar of his teachings. none other than the great philosopher Bhatta himself. protagonist of the Purvamimamsa School. over as a veritable incarnation of Goddess Saraswati herself. debate even began? The precise answer we will never know. alms (bhiksha) and then the householder (Mandana) for his meal. manage to prove yourself better." discuss with me the science and art of love between the sexes. vary with the bright and dark fortnights?" here we are discussing the shastras (scriptures)." knowledge. How then can you be a guru to my husband?" telling incident of his life must be narrated. had submerged the idol in a nearby water body (Narada-kunda). in 631 AD. 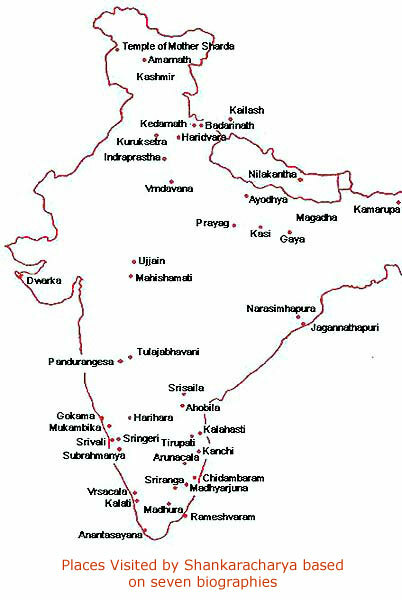 It was considered the Kashi (Varanasi) of north India. sweet speech underlined with a self-assured dignity and decorum. not affect this body of mine." 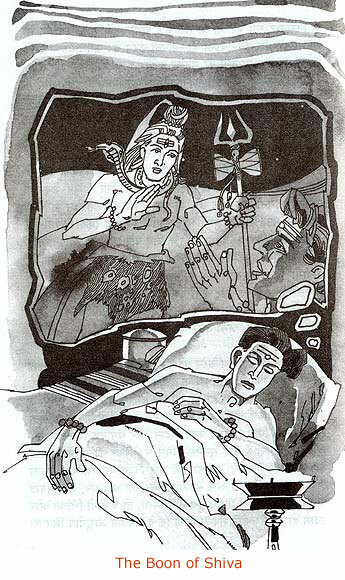 The voice of Saraswati became silent, accepting his explanation. 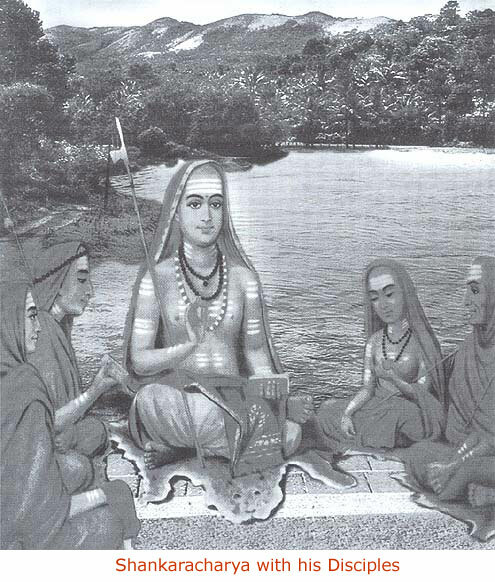 Hence was Shankara crowned the supreme philosopher of all ages. had to make do without blossoms for her hair. felicitated with this supreme honor here. O Daughter of the king of mountains! marks the dissolution and creation of this universe. But keepest thy eyes always open. a cosmic purpose in this feature of the mother's eyes. O Daughter of the mountain-king! became a noted poet among great composers. order, capturing his emotions in highly sensitive expressions. the contemplation of contemporary man. 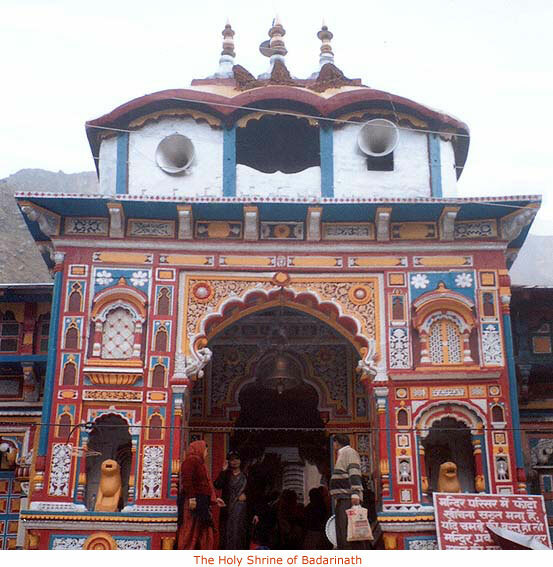 and seat of learning in each of the four directions (chaar-dham). a). Badarinath in the north. b). Puri in the east. c). Rameshvaram in the south. d). 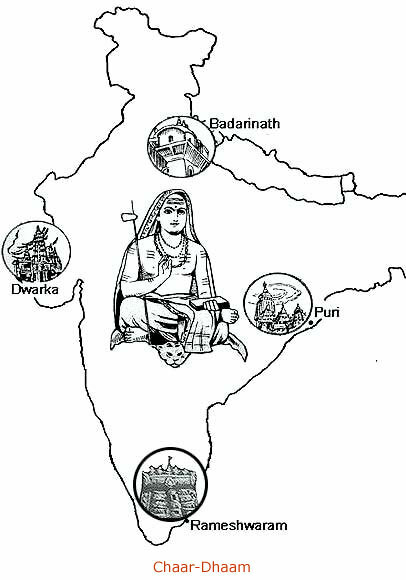 Dwarka in the west. gave up his physical body. He was all of thirty-two years of age. non-material Brahman in each of us. 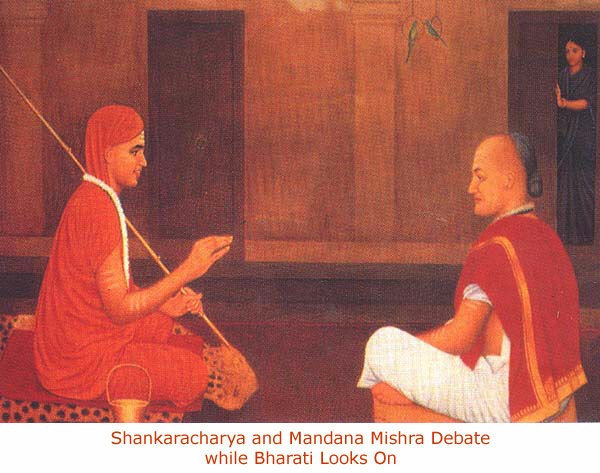 Conclusion: Was Shankara a Philosopher? out of the multiplicity of opinion. 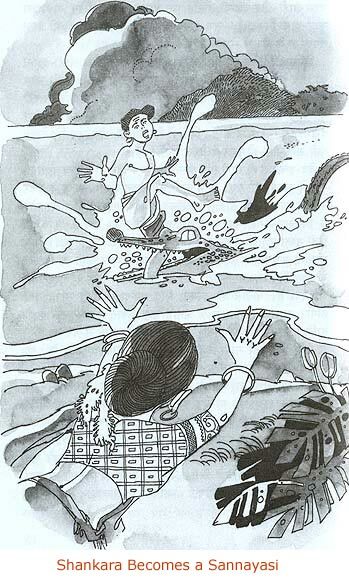 Accounts of the Life of Sankara: New Delhi, 2000. Collinson et al. Fifty Great Eastern Thinkers: New Delhi, 2004. Brahma-sutras) 2 vols: New Delhi, 1973. Founders of Philosophy (Many Contributors): New Delhi, 2001. (Sanskrit - English): University of Madras, 1988. Introduction and Translation): Delhi, 2004. 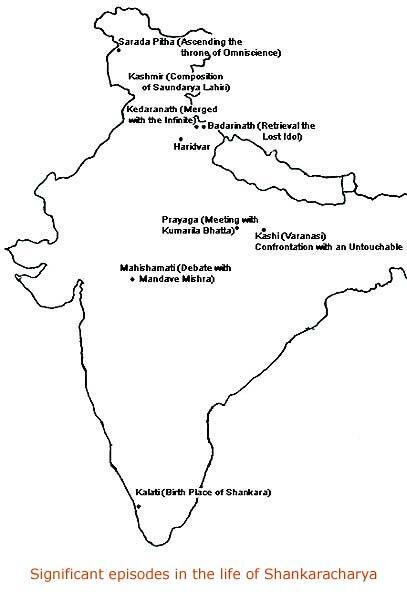 Sankaracharya (Trans. by Swami Tapasyananda): Chennai. Rukmani, T.S. Shankaracharya: New Delhi, 2000. Subramanian, V.K. Saundaryalahari of Sankaracharya: Delhi, 2001.